Decon, Abatement & Demo of Manufacturing Plant - American Integrated Services, Inc. Restoration of site including contouring for drainage and stabilization of surface soils using 3” crushed rock cover. The facility was located on 2.5 acres of land in an industrial zoned area of Vernon, CA. Twelve separate buildings totaling 35,000 SF that were used for blending and loading bulk shipments of fertilizer and pesticide were cleaned and razed over the 9-week period. Site contaminants included asbestos, lead, universal wastes, chlordane, DDT, and ammonia nitrate. The chlordane concentrations in soils required the waste stream be shipped to an incineration disposal unit. 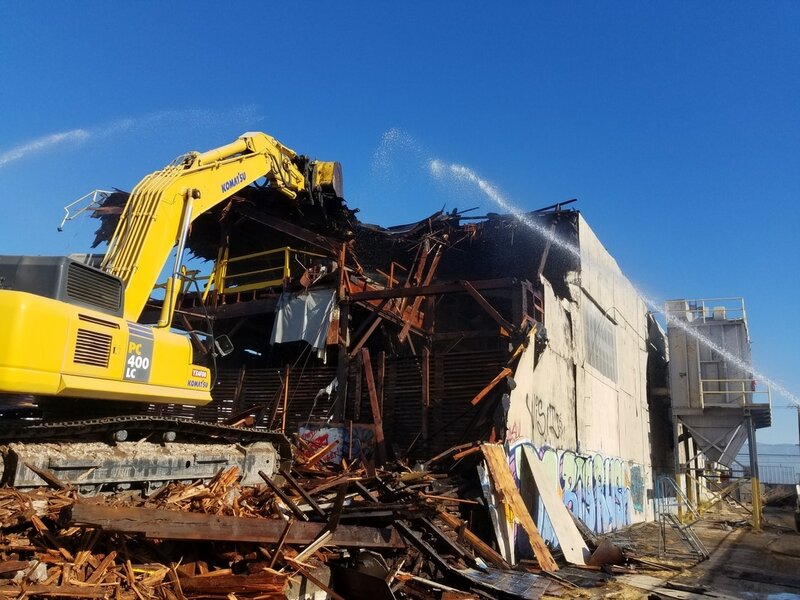 Unique challenges of the above grade demolition included mitigating fugitive dust emissions. AIS employed our Dust Boss Misting system to suppress during structural demolition. 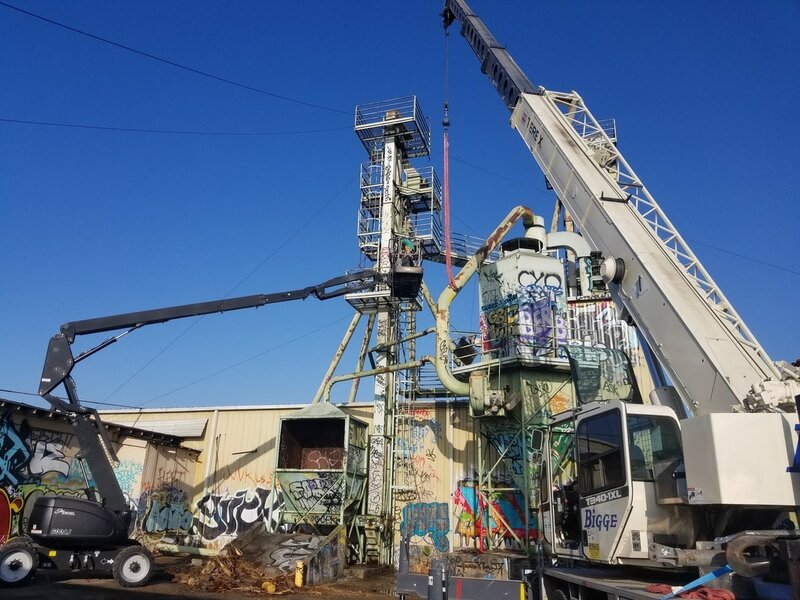 This project was located in close proximity (1/4 mile) to a highly visible clean-up project being overseen by the SCAQMD and DTSC, bringing additional agency scrutiny to this site. AIS was able to remove the buildings and achieve the cleanup goals on schedule while staying in full compliance with local, state, and federal regulations. The below grade remedial plan was performed with continued DTSC and AQMD oversight. VOC monitoring was required during all excavation activities. A slot excavation technique was used to mitigate potential for undermining adjacent buildings and rail spur.